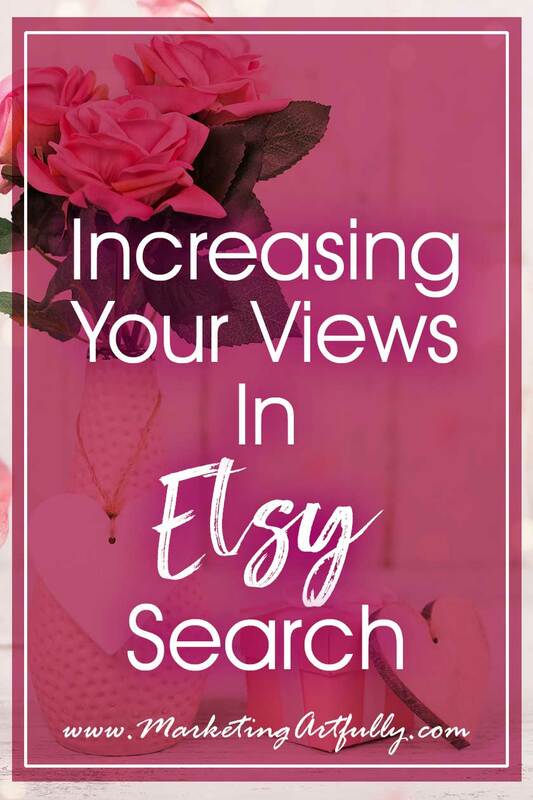 One of the most important things any Etsy seller has to do is increase the views that their listings get. More views mean more sales. Learn my tips and ideas for using your listings, stats and other sources to get more buyers looking at your listings! Focus on only thing things that matter to save time and effort. If no one sees your listing, no one can buy your listing. So who is this post for? A brand new Etsy seller who is sad that they aren’t getting any views at all. A seasoned Etsy seller who is sad that Etsy changed the rules and their views have dropped. Or finally someone like me who is just obsessed with finding the best way to sell on Etsy. What Are Etsy Shop Views? So those are people who have specifically looked at your stop or your listings. So that is nice, I have gotten 9,000+ views this month on my listings and shop. You should start by checking your shop view stats to see what your average is. Take the last three months and average them out to figure out what your baseline is to start. You can also compare your shop stats from this year to last by clicking the “compare to this time last year” at the bottom. Number of listings in your shop. I have lots of people come to me and ask why they don’t get more views. I ask to see their shop and they have 6-10 listings. Well OF COURSE they don’t have many views. That is only 10 chances to get found in search. Check out my post about How Many Items Should You Have In Your Etsy Store to see the averages. The awesome thing about this one is that you can change this number by listing more. Positive feedback growth. This one seems ripe for manipulating but I wouldn’t. Yes you can include a little card in your packages asking for a great review, but overall you will get about 20-25% of your customers leaving reviews. That number will grow the more you sell. I am not so sure I would mess around too much with this, except to sell more! You have more past customers. This is where having customers helps! Etsy shows things from your favorite shops and past purchases on the “home page” and in the emails they send out. This is a frustrating one as you can’t get this until someone buys, and you can’t get someone to buy until they see your listing. Just be patient! So now you have done the basics. What is next? If you are just starting out, head back up, most of this will not work unless you have loads of views to be able to reference them! 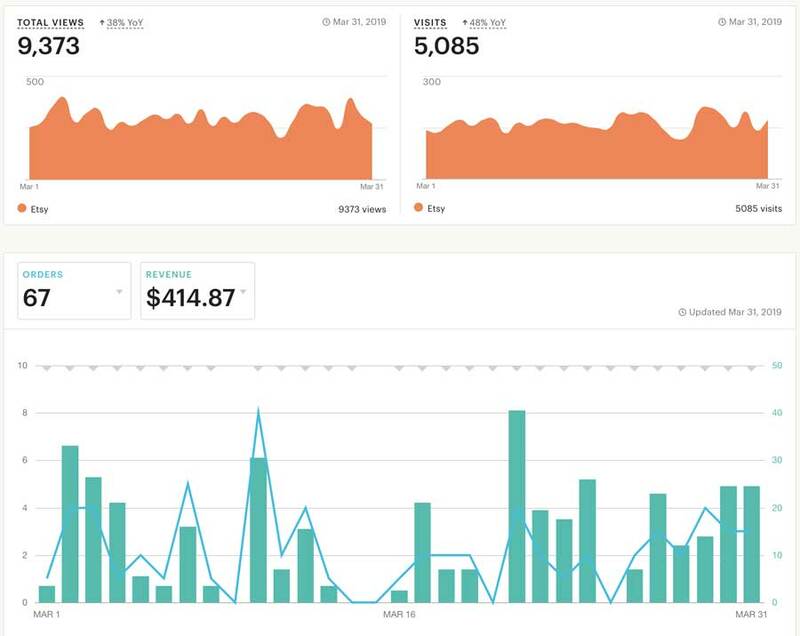 When you start digging into your stats, you see that there are lots different places you can find information that will help you to understand what your shoppers are doing. This is full of fun data about where your views are coming from. Again I try and focus on things that I have control of since this is a productive use of my time! I have 5K visits total over the month. I SO appreciate that Etsy drives some of that traffic (Etsy and “Direct” which is generally the Etsy app on the phone), but I feel like the more I can do to bring awareness the better! All in all about 1/2 of my views are “me generated”. I deliberately left in that Facebook stat… I drove a whopping 4, yep 4 views from Facebook last month… I can hear the gasps from here! Now, you might not have a website that you can use (yet) or a huge social media presence (yet), but you do have to have a plan to start somewhere. I am good at blogging and Pinterest so I do those almost exclusively marketing wise for my shop. You might be good at Facebook groups or Twitter or even have an amazing email list you use. 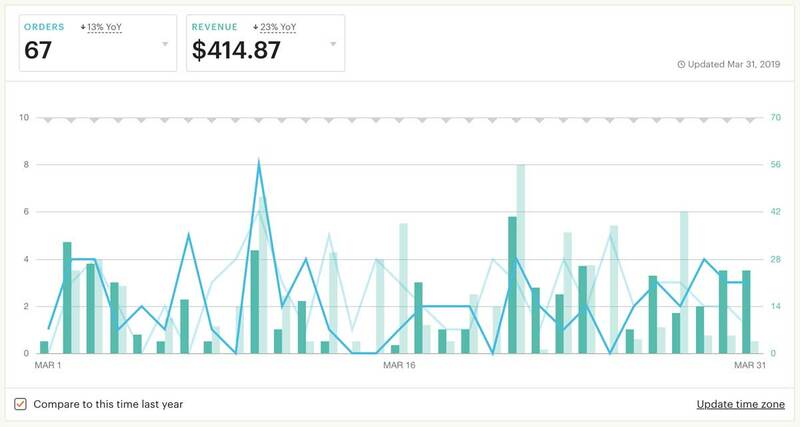 The point of looking at your stats is to see what is working and either do more of that if there is room in you schedule OR to learn a new way to drive views. For example, if I wanted to really increase my views, I bet I could do so by trying at least a little bit on Facebook, but since that is not fun for me, I don’t do it! Figure out what you are good at and start working to drive up the views you get to your shop! I find this one to be an interesting place to look. 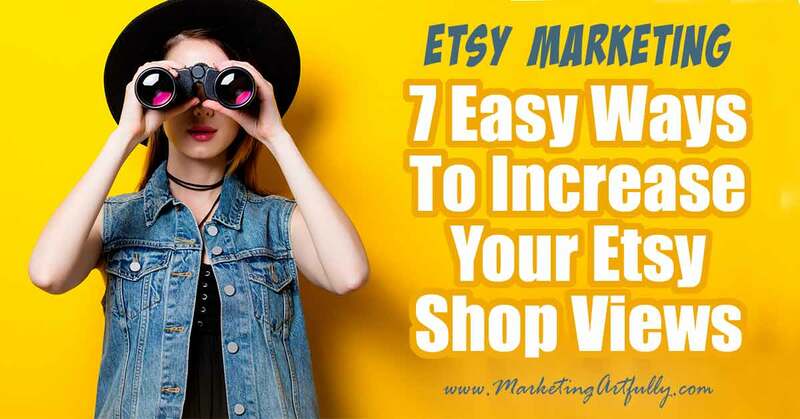 Oftentimes you can use the internal parts of Etsy to get even more views to your listings! There are a bunch of different “tweaks” you can do to get more internal views! Update! A reader asked what a general testimonial picture is… it is a graphic you make that shows a great testimonial you got that you can include in your pictures, like this! Finding these gems in your stats is like knowing a secret code. Optimize just a few of these and you will be able to keep more of those people on your shop instead of going somewhere else! 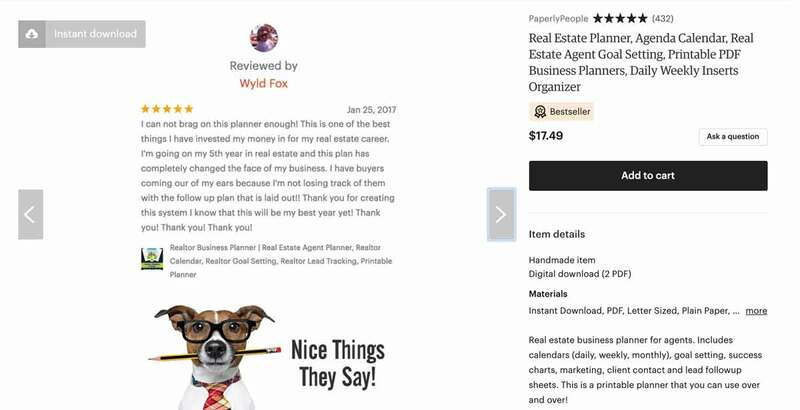 Here you want to look at what is happening with your best listings first… I see that I get A LOT of orders to the Poshmark product, but the sales revenue is less than I get on the real estate planner… interesting! But what about views? Where are they coming from and how can I get more? Krikeys… I am driving almost ALL of the views to this product from Pinterest! Now, what does this mean to you and getting more views? Say you are great at Instagram… you could check your listings and see which are getting the most views from social and share more of those kinds of pictures. 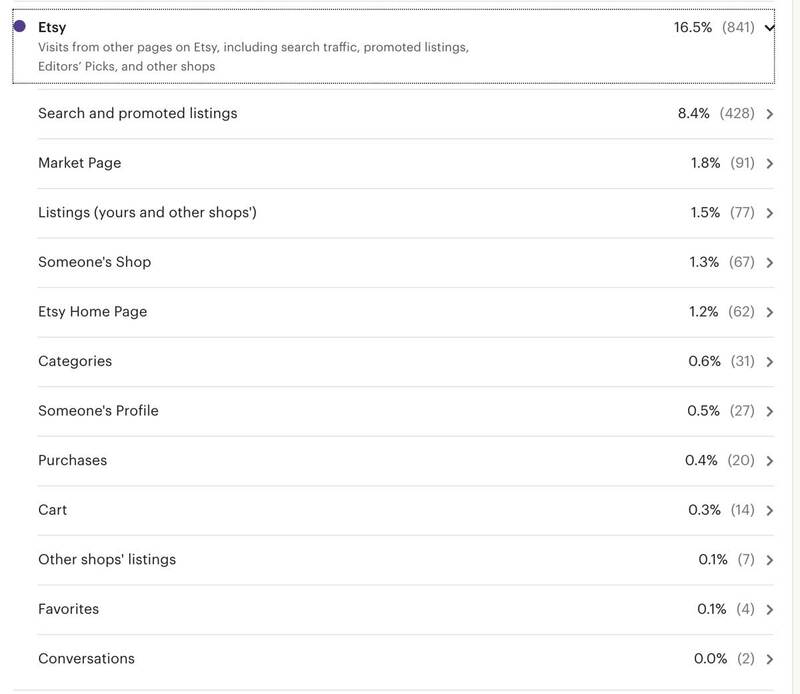 It is tempting to think that all of our listings get traffic from the same places but it is worth taking the time to look in each and see which ones are doing the best on which marketing channels so we can use our time wisely as shop owners! Okay this is my last one, but I feel like it is often overlooked. STOP trying to get every one of your listings to rank for the same top keywords! I see so many people trying to rank for the main keyword that is top in their niche. YES it is worth it to take a couple of your listings and try to get them to rank for a top word. But then branch out and try to get people to your shop through other related keywords on your different listings. Many “seasoned” sellers who used to get lots of views are complaining that their views are down (I was following a thread on this exact topic when I got the idea to write this post). One reason for this is that Etsy now only will have one listing per shop per page. So if they have all their listings optimized for “silver jewelry” for example, they would get one listing on page one for that search, one listing on page two, etc. I KNOW it is frustrating when things change and what you used to do no longer works, but there is no sense crying over spilled milk. 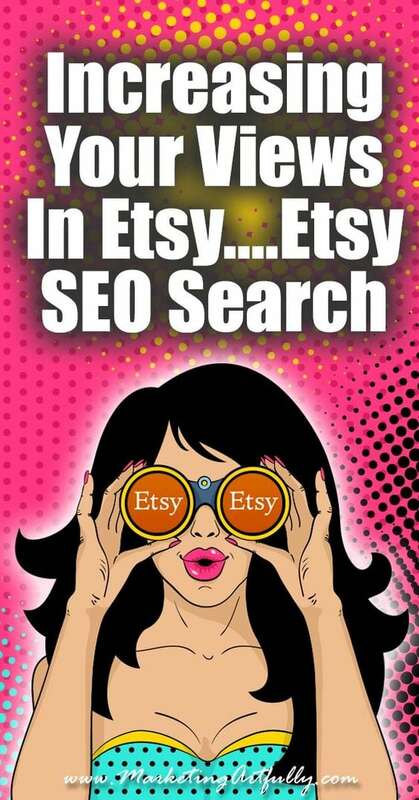 That is how Etsy search works now and if we want to get more views, we have to rank for more and different keywords! Whether you are a vintage Etsy seller, handmade or digital products seller this strategy works great!